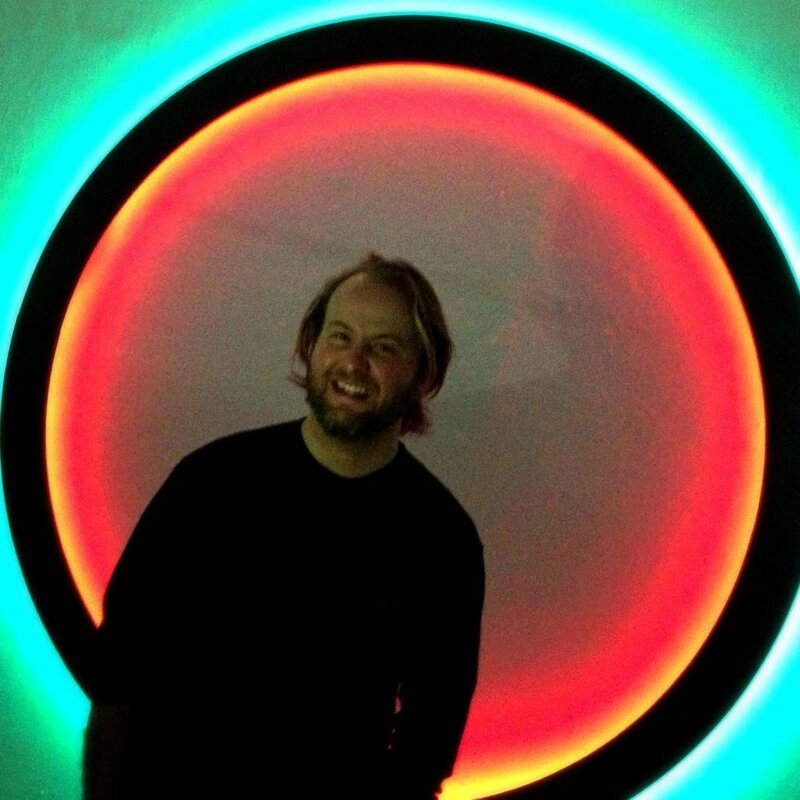 Denver native Collin Parson currently serves as the Director of Galleries and Curator for the Arvada Center for the Arts and Humanities in Arvada, Colorado and is a former member at the historic Pirate: Contemporary Art cooperative and recently finished up his artist residency at RedLine Denver. An arts administrator, artist, curator and designer he received a Bachelor of Fine Arts in Theater Design and Technology with emphasis in Lighting and Scene Design from the University of Colorado at Boulder and his Master in Arts in Visual Culture and Arts Administration from Regis University in Denver. His creative work involves the control of light and color to create vivid geometric light and space works. He has had the privilege of jurying many arts festivals and exhibitions and has received many awards and recognition for his curatorial projects. He was awarded 100 Colorado Creatives by Westword magazine in 2013 and featured in many television and print productions. Parson is the son of Colorado sculptor Charles Parson, whose experience with the regions arts community helped Collin long before his professional career began. Growing up in a family of artists, Collin is proud to be continuing the educational and creative traditions. Parson's current curatorial project is Art of the State 2019 at the Arvada Center for the Arts and Humanities. Artistically, he recently installed his latest public art commission at the Dairy Block development in LoDo in Denver, CO and is a finalist for a public art commission in his hometown of Lakewood, Colorado. Three Views an exhibition with his father and brother runs through March 24th at Lakewood Cultural Center in Lakewood, CO.
"The intention of a phenomenal art is simply the gift of seeing a little more today than you did yesterday”-Robert Irwin.